Happy Friday! In the news this week, our top keynote speakers are writing and making headlines in respected and international media. For booking enquiries, or more about these talented thought-leaders, send us a quick email for their speaking topics, expertise and latest availability. Bloomberg (video) | Is Snapchat the Way to Capture the Youth Vote? Chartwell is thrilled to be representing Hanli Prinsloo exclusively for her global speaking engagements. 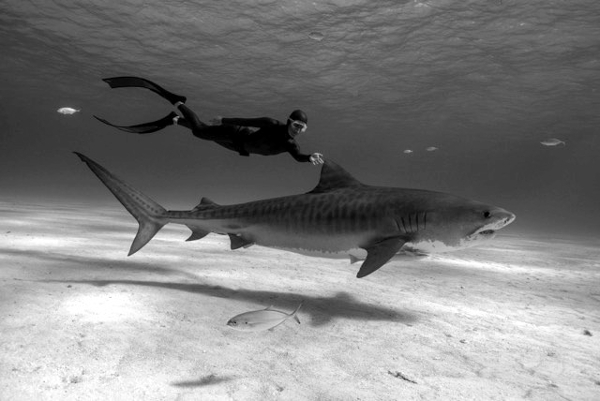 An 11-times South African freediving record holder and one of the world’s foremost ocean adventurers, Hanli’s career has seen her freedive with marine megafauna from blue whales to tiger sharks. In her inspirational speeches, Hanli shares the lessons freediving has taught her about mind over body control and mental toughness – lessons she continues to impart to elite athletes all over the world, including the South African Rugby Sevens team. She offers her audiences with an entirely new framework through which to think about risk, and enables them to challenge fear and limiting assumptions in all walks of life. Hanli is also Founder and CEO of the I Am Water Foundation, an organisation that campaigns for ocean conservation through education programmes and documentary films. She has been made a WEF Young Global Leader in recognition of this pioneering work. For more information on how to book Hanli Prinsloo as a speaker for your conference or client event, please get in touch with Leo von Bülow-Quirk at leo@chartwellspeakers.com or call on +44 (0) 20 7792 8000.